Can’t Stop. Won’t Stop. The Story of KnuckleUp. 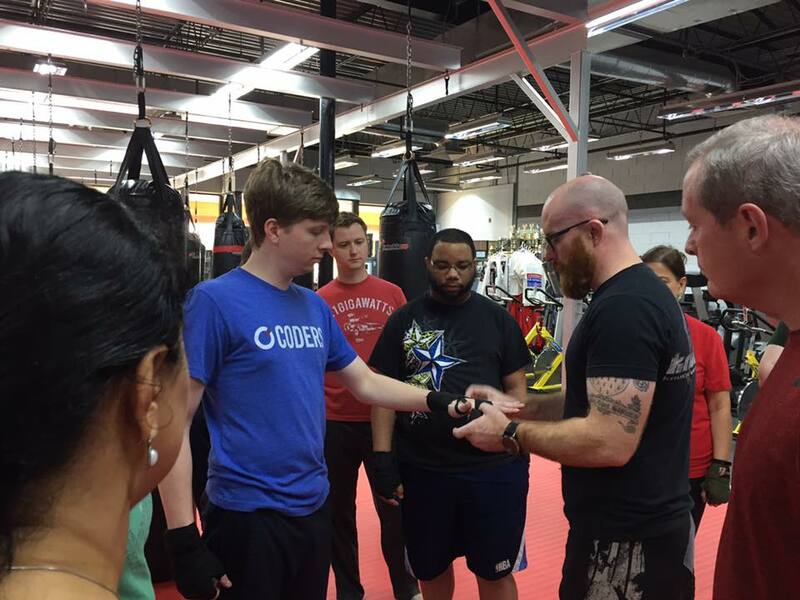 KnuckleUp recently hosted a corporate team building session with AutoIMS at our Sandy Springs/Buckhead facility. 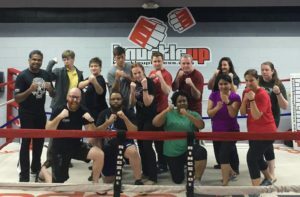 KnuckleUp Fitness hosts corporate team-building and group classes for many different types of companies and teams. Recently, we hosted an event for AutoIMS, and the group had such a great time that they wrote a little something about it for their other associates and we wanted to share it with you all as well. 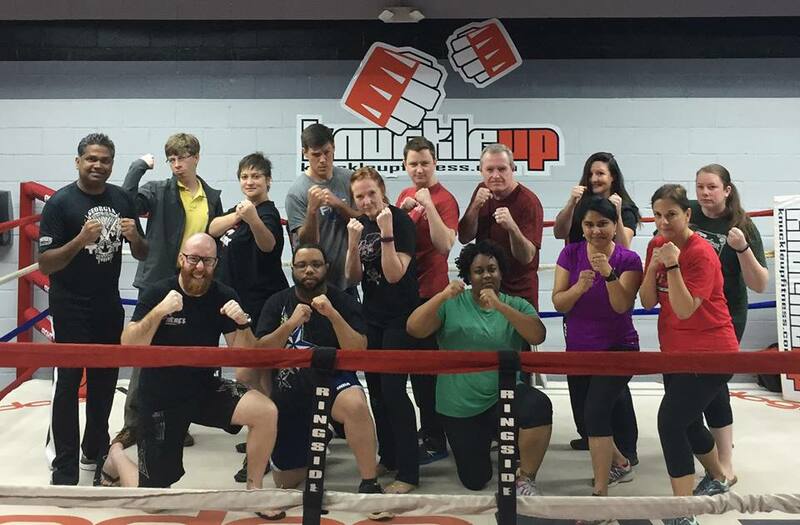 On Tuesday, March 7, Mike Broe led Team AutoIMS to KnuckleUp Fitness for a team-building event. 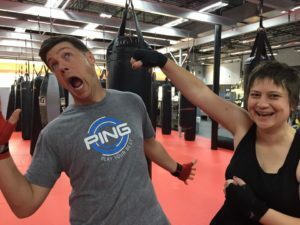 Half of the company rose to the challenge by punching, kicking, mountain climbing, and pushup-ing until they each reached a personal, physical threshold. On Wednesday, most employees were still feeling sore from the workout. James Holle pointed out, “It’s more fun to challenge yourself when surrounded by friends. I watched others hit their limits and they saw me hit mine. It’s definitely a bonding experience.” We may be sore today, but tomorrow we will be stronger together. We had so much fun with this group and they obviously had fun with us as well. For more details or to book your corporate team-building event, contact Sarah Huling at s.huling@knuckleupfitness.com or give her a call at 404-477-5425. Let’s get your colleagues in here to share the fun! © Knuckleup Fitness. All Rights Reserved.